Imagine Dana White reaching over to adjust the Nazi arm band on one of his fighters. Ms. Lima-Taub was not referring to all Muslims when she said Rashida Tlaib might blow up the capital. She was drawing attention to Tlaib’s provocative, and flamboyant anti-Israel statements and actions. However, he gives no examples, cites no court cases where Texas has acted against someone for their grocery store purchases. 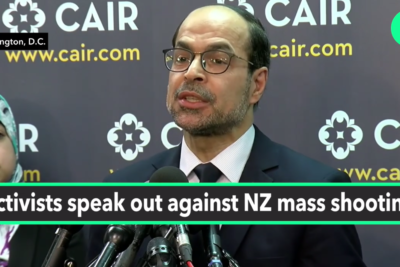 CAIR is calling for Georgia to bring back hate crime legislation, but with a very important qualification. The month of October was a busy one for the Council on American Islamic Relations. It is high time Americans take a page out of Linda Sarsour’s spreadsheet, and start taking note of the names of Muslims who proudly proclaim to be jihadists. 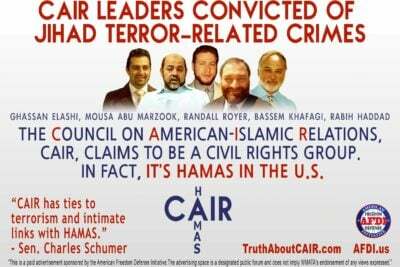 CAIR has managed to get John Grasso to apologize to a network of highly political Muslim organizations. 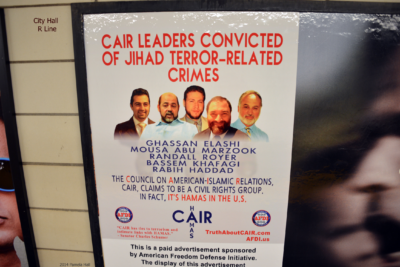 Hate crimes are not occurring nearly as rapidly as CAIR is reporting them. In the wake of CAIR’s negative publicity campaign by way of WSB-TV, and elsewhere, Sharon Dickson has stepped down as a municipal judge. She is now working as an “associate judge” in another town. Now, Mike Petchenik is hounding her there, and letting us know CAIR wants her “pushed” out of her new job.